Canada's current mortgage wars include a new 2.97 per cent fixed-rate mortgage from Scotiabank announced Wednesday. 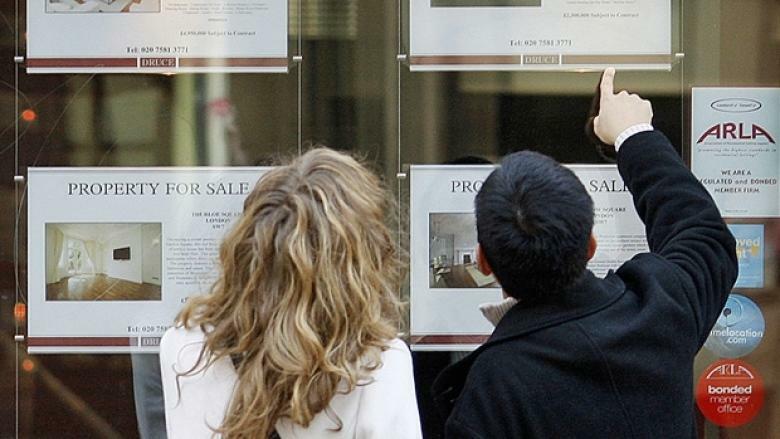 First time homebuyers are a particularly attractive market for banks. Scotiabank has lowered its five-year mortgage rate to 2.97 per cent, beginning a new sally in the war to win business. The rate, effective until June 7, is the lowest among the big banks for a fixed five-year rate. Two weeks ago Investors Group unveiled a three-year variable rate of 1.99 per cent. Variable rates often are lower than fixed rates, as the consumer takes the chance that interest rates will rise and cause higher payments. In 2012, a number of Canadian banks offered five-year mortgage rates below three per cent — something that earned them a stern rebuke at the time from then Finance Minister Jim Flaherty. The banks quickly dropped the offer. Flaherty tightened the country’s mortgage insurance rules in July 2012, in a bid to curb the rapid growth of consumer debt and soaring house prices. Although the measures briefly cut down on the number of people applying for mortgages, Canada’s housing market remains hot. However, current Finance Minister Joe Oliver has said he has no intention of wading into the debate over setting mortgage rates. In March, Bank of Montreal again offered a fixed five-year rate of 2.99 per cent, but Scotiabank’s 2.97 per cent is a shade lower. There is fierce competition among the banks for mortgage business, considered a secure form of consumer loan. This summer, Royal Bank will offer real estate agents $1,000 for referring five first-time homebuyers. First-time buyers are particularly desirable because they need a large sum of money and are likely to become bank clients for life.